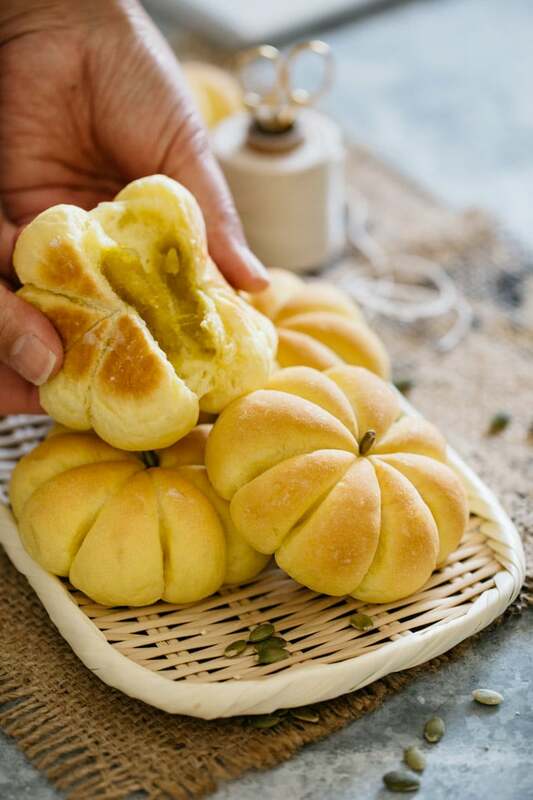 This kabocha bread is made from sweet Kabocha Anko paste wrapped with Japanese soft milk bread and shaped like a kabocha pumpkin or a Kabocha squash. 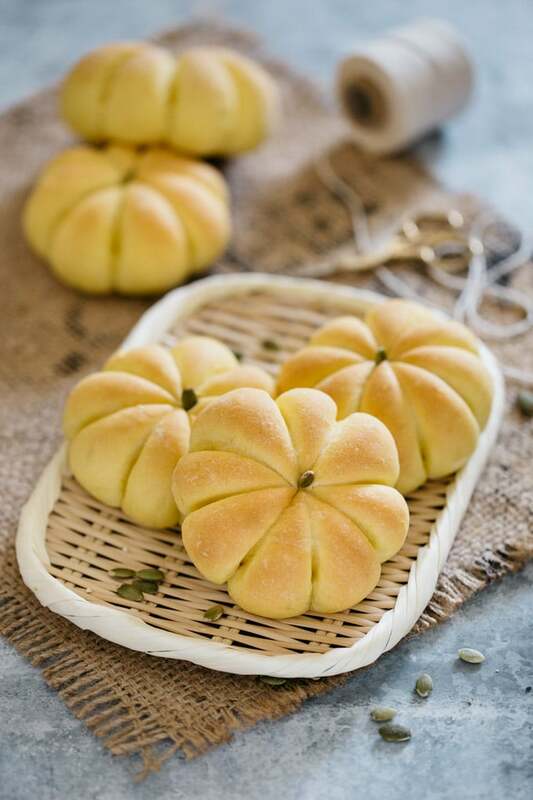 This bread is a sweet bread, so it is a great snack to share at a Halloween party. Kabocha pumpkin is the best pumpkin in my opinion as it has a chestnut like flavour and when it is cooked, it is not soggy and watery like other pumpkins I find in Australia. There are pumpkins in Australia called “Japanese pumpkin” or “Kent pumpkin” that seem like kabocha, but actually they really aren’t like the Japanese pumpkins that I used to cook in Japan. It is very hard to describe it, but Japanese people describe the texture with onomatopoeia “Hoku Hoku”. Perhaps this can be translated as ‘firm’ and ‘tasty’! Can I use different pumpkins? 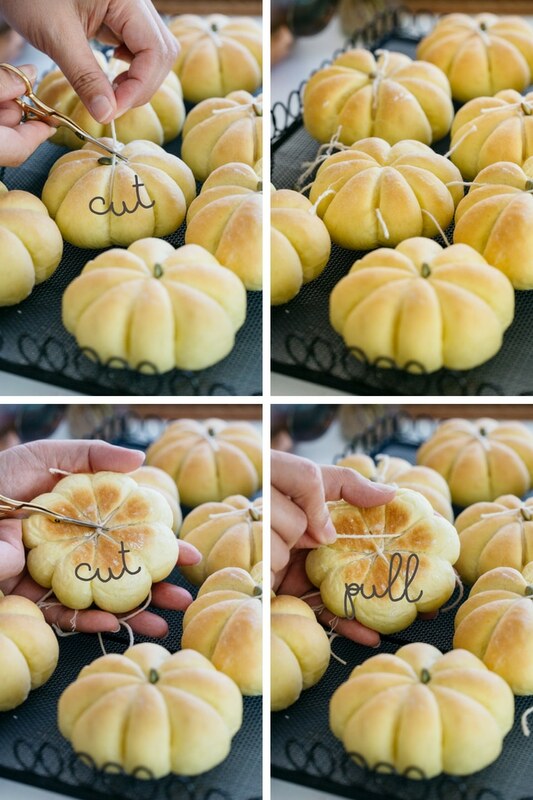 You can use different types of pumpkin. In Australia, if I am lucky I can purchase fresh kabocha pumpkins but if I can’t, the pumpkin and sweet potato mashed paste can be replaced with just sweet potato mash. But you need to use purple skin with white/beige coloured fresh. And for the bread, use butternut pumpkin or use frozen Japanese kabocha pumpkins like I used. 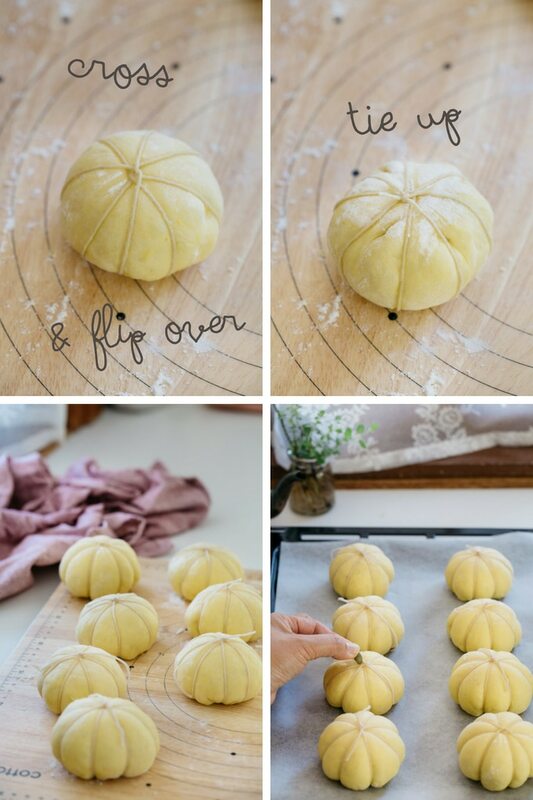 How to shape like real kabocha pumpkins? After the first rise, tie twine (strings) around the dough LOOSELY. You need to do 80cm (about 31 inches) twine (strings). 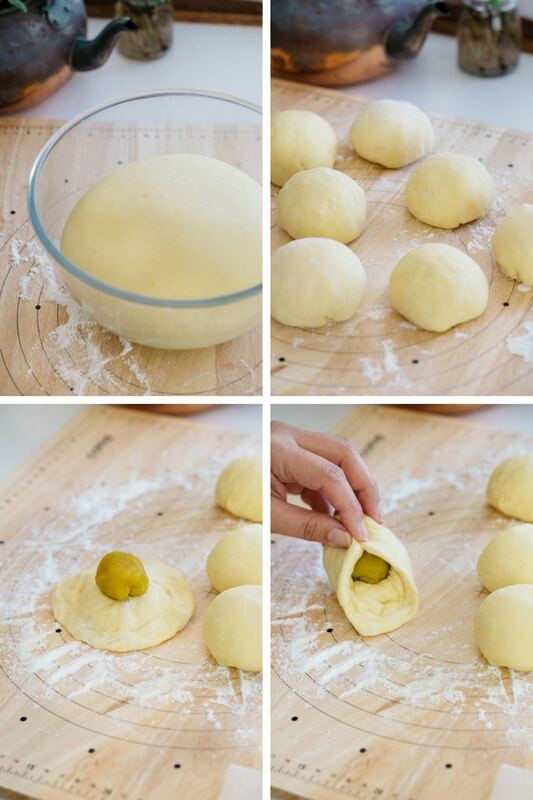 Tie it around the round bread dough gently and loosely. If it is too tight, during the second rise, the bread may rip apart. LOOSELY tie around the twine. Soak the twine in oil (I used olive oil) in order to remove the twine easily. In Japan, we did not really celebrate Halloween and it was not a big seasonal event when I was young. Many Japanese people still don’t follow the Halloween traditions. However cute Halloween Jack o lantern pumpkins and pumpkin themed Halloween goods are gradually gaining popularity in Japan. 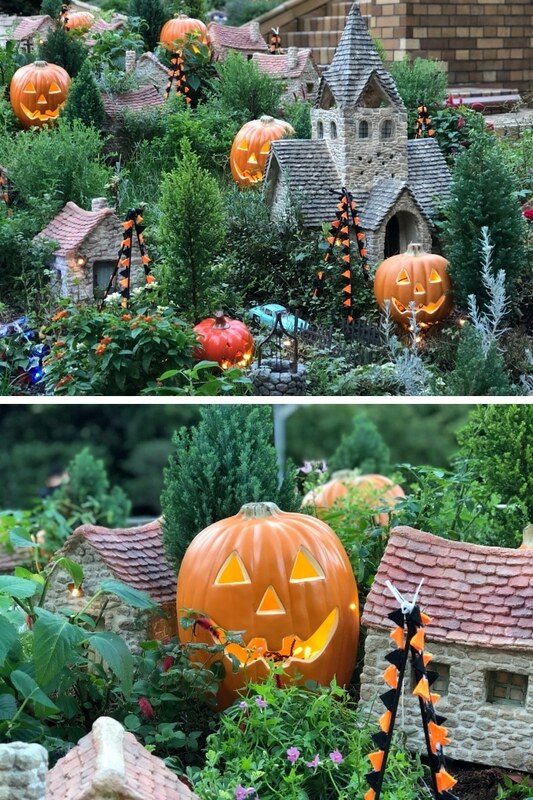 Japanese people started to celebrate Halloween without knowing the real meaning of Halloween in the same way as Japanese people celebrate Christmas in Japan. 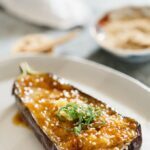 This recipe was posted originally on Sep 2016. I am updating with step by step process photos. Here is my instruction for Kabocha pumpkin bread and If you liked it, please rate it and leave a comment below. Also, don’t forget to follow me on Youtube, Pinterest, Facebook , Twitter and Instagram to keep up to date with all the latest happenings on Chopstick Chronicles. Don’t forget to use the hashtag #ChopstickChronicles so I can see your wonderful creations! 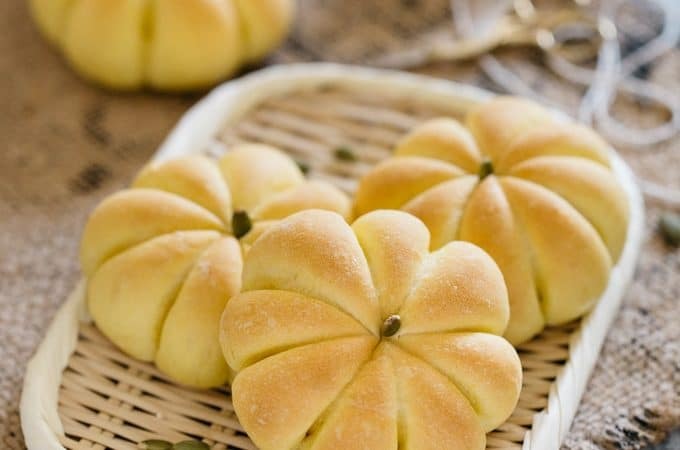 Kabocha Bread is Japanese milk bread roll with sweet kabocha squash and sweet potato paste baked the shape of Kabocha squash. Great for Halloween! 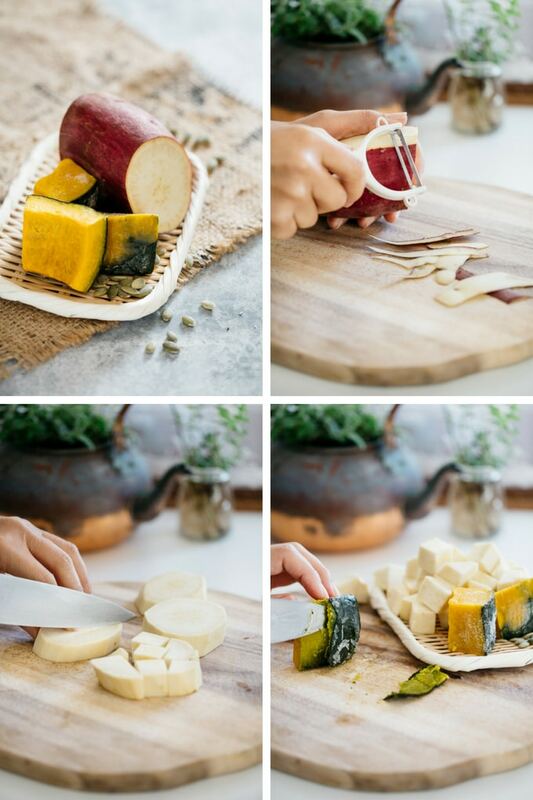 Peel the kabocha and sweet potato. 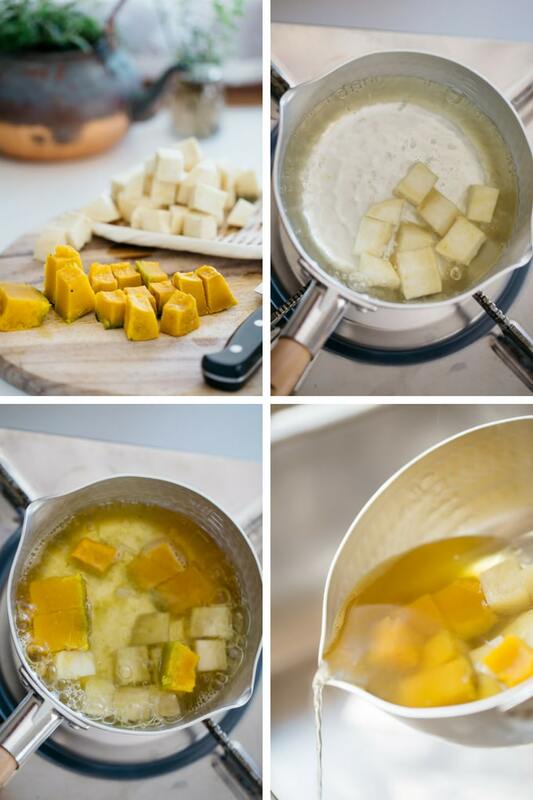 Cook the peeled kabocha and sweet potato and mash them. Put mashed kabocha pumpkin and sweet potato in a small saucepan, add sugar and stir constantly on low heat for about 5 minutes. When the water evaporates a little and the paste thickens, turn the heat off and cool it down completely. Make it into small balls (about 2 tbsp each) and set aside. Place bakers flour salt in a large bowl and make a well in the middle. Combine 1 egg yolk, 150ml milk (to make 160ml all together, so you may need a bit more than 150ml milk) sugar, and melted butter and dry yeast. Pour the liquid ingredients into the well in the flour bowl and mix. Knead the bread dough for about 20 minutes. Spray the surface of the bowl and place the kneaded dough and wrap with cling wrap. Leave it for 40 minutes to rise. 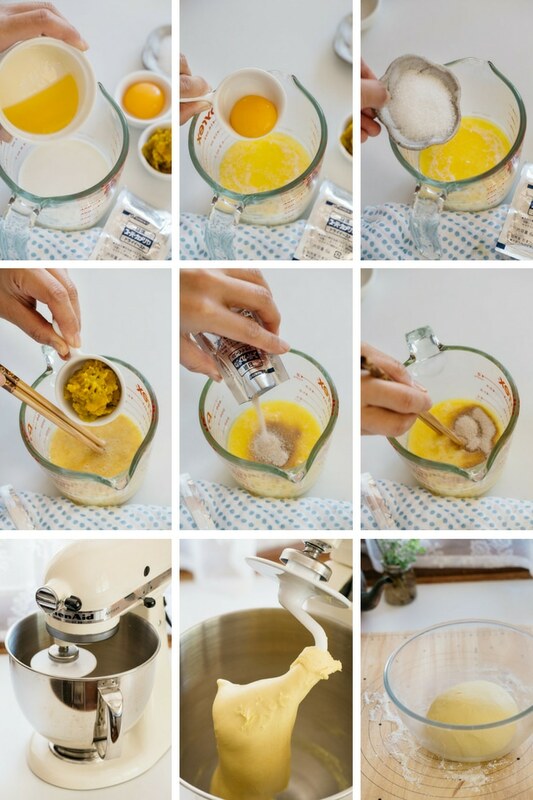 When it becomes twice in size, take the dough out of the bowl and divide it into 8 round balls. 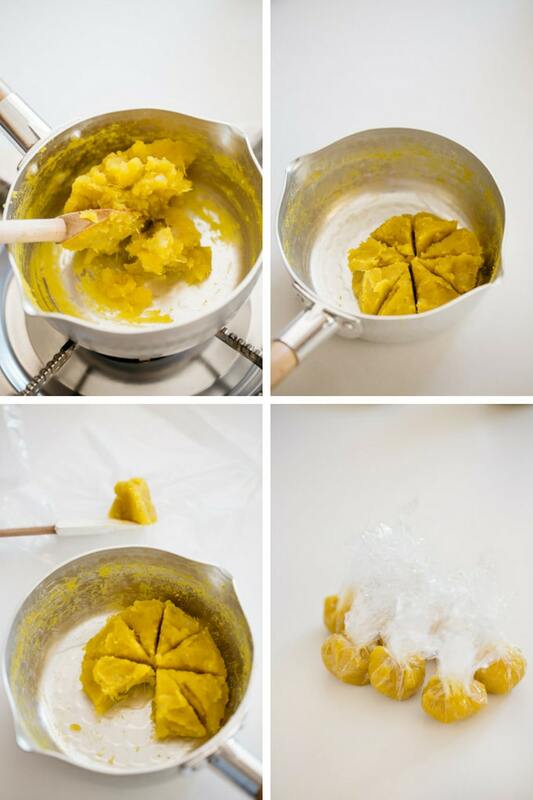 Flatten the dough ball out and place pumpkin anko paste on the centre and wrap it. Take the excess oil off the string and place it on the kitchen bench. Place one dough on the centre. Take two ends of the string and cross it in the centre, and flip the dough around and cross the string, and flip the dough with the string again and repeat. Try not to tie the twine too tight. 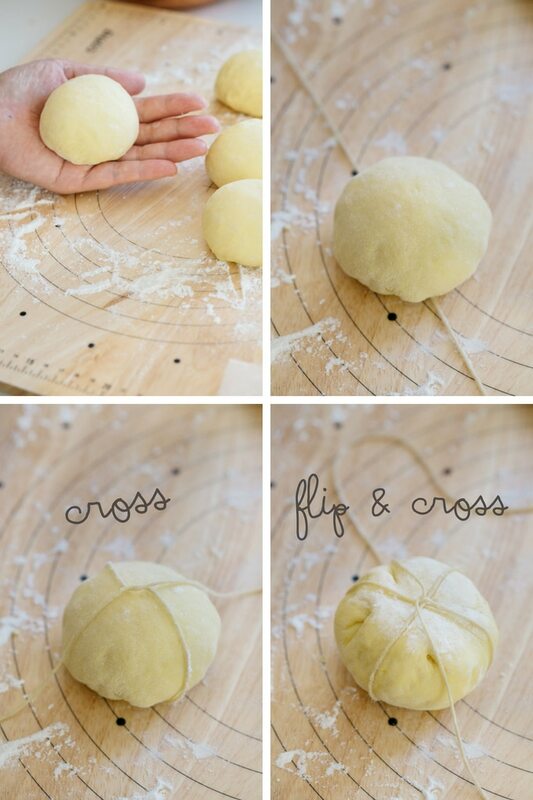 Make the knot and place the knot side down on the baking paper. Repeat the step for each. Place a moist tea towel over the bread and leave it in a warm place for about 30 minutes. Preheat the oven to 180 degrees celsius and bake them for 12-15 minutes. Cool the bread down and cut the twine at a few places then remove the twine carefully. Kabocha an paste- if you can not access Kabocha pumpkin, you can replace it with purple sweet potato. For the bread, you can replace kabocha pumpkin with butternut pumpkin. 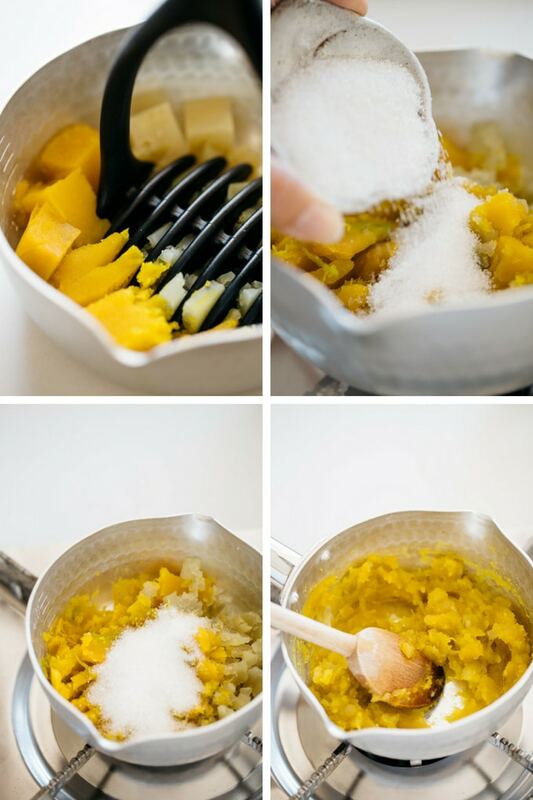 I am so in love with this Kabocha recipes! This looks devine! Perfect tastes for autumn. Hi Alma, Thank you 😀 Look great and taste delicious! absolutely my favourite! The Kabocha Bread are very cute (可愛い) !! I want to make this for a holiday party — can I make these the day before? How long do they store for and what’s the best way to serve (do I need to warm them up again?)? Hi yes you can. If you want to have it warm, preheat the oven to 180　place the bread into the oven and turn the heat off to allowing the remaining heat to warm up the bread 😀 The bread will store for a few day. hello, did you use the purple sweet potato with purple flesh, or the Japanese purple skinned yam with the yellow flesh? I may have bought the wrong potato, as I bought the purple fleshed one, but I wanted to ask to be sure. This recipe looks very cute and I cannot wait to try it out for Halloween! I bought many Kabocha to cook with! Konnichiwa Andy 😀 I use Japanese purple skinned potato with yellow flesh. I am going to update this recipe very soon. So stay tuned. Thank you so much for the reply! I will buy the right potato now 🙂 Looking forward to the update also! Hi! I would like to make this for a school fundraising event. 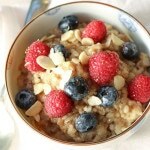 Is it possible to prepare and freeze the dough in advance and bake on the day of event for freshness? If so, how should I store dough to retain texture and such? Thank you so much for sharing this adorable recipe. You are super talented! 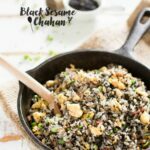 Love this recipe, can’t wait to try it! I managed to find the Japanese pumpkin but can’t get purple sweet potato locally, can I just replace with pumpkin? Thanks! Hi Emi, Yes you can. Wrap the paste with cling wrap and put it in a ziplock freezer bag. It will store about a month.